Each generation invests differently. Millennials have been shown to invest less and trust what they can directly control. Growing up in the Great Recession left a mark on Millennials and now their generation relies more on what they can put in a savings account than how much they can invest in stocks. Since the Great Recession, confidence in the US economy has steadily increased. Just last year, in a survey conducted by Merrill Edge, 48% of Americans said they felt more confident about their investments. However, 80% of Millennials said they believed they would see another recession in their lifetime, with three in ten believing another recession will happen within the next five years. This cautious outlook on the future of the economy led 85% of millennials to say they are likely to play it safe with daily investments. This year’s spring report from Merrill Edge shows that this mindset has impacted the way Millennials decide where and when to invest their money. When it comes to investing in the stock market, according to a Gallup Poll, only 31% of people aged 18 to 29 own stock despite the record growth the market has recently seen. Furthermore, a BlackRock study reports roughly half of millennials said investing in the stock market was just “too risky”. The unpredictable nature of the market can certainly scare people away, but when it comes to investing their money Millennials won’t have as much to divest in stocks due to student loans. Especially dental school students as over 10% of their monthly income is used for debt repayment. The majority of Americans who participated in the Merrill Edge research responded that when it comes to investing they are more likely to invest in companies that pay women and men equally (87%), promote diverse leadership (85%), demonstrate commitment to environmental sustainability (82%), provide three or more months of family leave (78%), share their religious beliefs (62%), and support the LGBTQ community (61%). Of the groups polled, 87% of Millennials were most passionate about investing in companies that promote diverse leadership and equal pay. This shows a desire among their generation for their investments to have a lasting impact beyond a positive return. According to last year’s fall report from Merrill Edge 66% of millennials have said that when it comes to long term finance, they’re more likely to rely on their own savings account in 20 years. As a generation that grew up in the Great Recession and entered the workforce before the current highs it’s easy to be suspicious of how long the current growth of the market will last. This is why 46% of Millennials reported that they were more financially conservative than their parents. The impact of the Great Recession also made 64% of Millennials feel more responsibility when securing their finances. How one decides to handle their finances is dependent on the person and their unique situation. 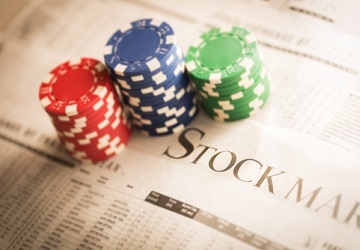 However, the stock market doesn’t have to be high stakes only. Start out small and invest in a reliable company. By putting in small amounts over time you can reduce the risk and gradually conquer investor paralysis. The longer you let your investment grow the better your chances are to see a positive outcome. If it doesn’t work out that’s ok, because you kept your investments small in the first place.